Mistletoe Poisoning is the accidental or intentional intake of the leaves of the plant. What are the Causes of Mistletoe Poisoning? What are the Signs and Symptoms of Mistletoe Poisoning? How is First Aid administered for Mistletoe Poisoning? Who should administer First Aid for Mistletoe Poisoning? 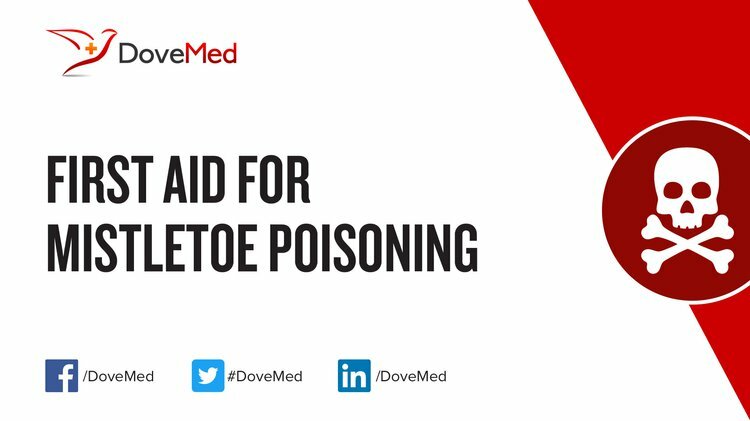 First aid for Mistletoe Poisoning is administered by healthcare professionals. What is the Prognosis of Mistletoe Poisoning? How can Mistletoe Poisoning be Prevented? KAVOSI, M. R., FARIDI, F., & HAJIZADEH, G. (2012). Effects of foliar application herbicides to control semi-parasitic plant Arceuthobium oxycedri. Nusantara Bioscience, 4(2). LEE, H. Y., LEE, J. S., PARK, E. H., & KIM, M. D. PFM29 Extraction Methods Influences Inhibitory Effects of Agrimonia pilosa on the Growth of Meat-Poisoning Lactic Acid Bacteria. Baltazár, T., Pejchal, M., & Varga, I. (2013). Evaluation of European mistletoe (Viscum album L.) infection in the castle park in Lednice. Acta Universitatis Agriculturae et Silviculturae Mendelianae Brunensis, 61(6), 1565-1574. Mallams, K. M., & Mathiasen, R. L. Forest Insect & Disease Leaflet 147. Caloni, F., Cortinovis, C., Rivolta, M., & Davanzo, F. (2012). Animal poisoning in Italy: 10 years of epidemiological data from the Poison Control Centre of Milan. Veterinary Record, vetrec-2011. Bar-Sela, G. (2010). The white-berry mistletoe (Viscum album L.) in cancer treatment. Drug plants I, 195-213. Kolahkaj, S. F., Alvaninejad, S., Adhami, E., & Fayyaz, P. (2016). Effect of mistletoe (Loranthus europaeus) on some nutrients elements and morphological traits of maple trees leaves (Acer monspessulanum Subsp. Cinerascens) in Yasouj forests. Iranian Journal of Forest and Range Protection Research, 14(1). Saraj, B. S., Kiadaliri, H., Akhavan, R., & Kafaki, S. B. (2015). Spatial variation and dispersion pattern of European yellow mistletoe (Loranthus europaeus) affected forests in Zagros area, a case study of Ilam forests. Iranian Journal of Forest and Range Protection Research, 12(2). Treštić, T., & Mujezinović, O. (2015). Occurrence of pine mistletoe/Viscum album ssp. austriacum (Wiesb.) Vollmann./in Bosnia and Herzegovina. Naše Šume, 14(38/39), 15-22.